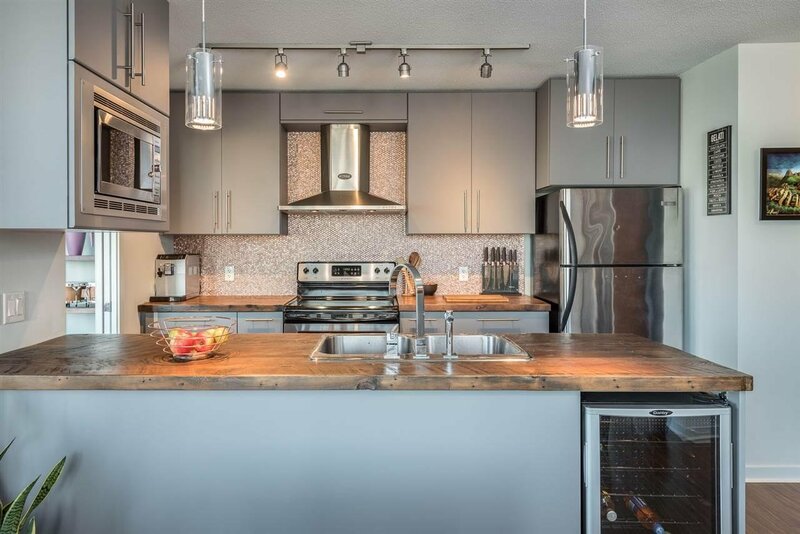 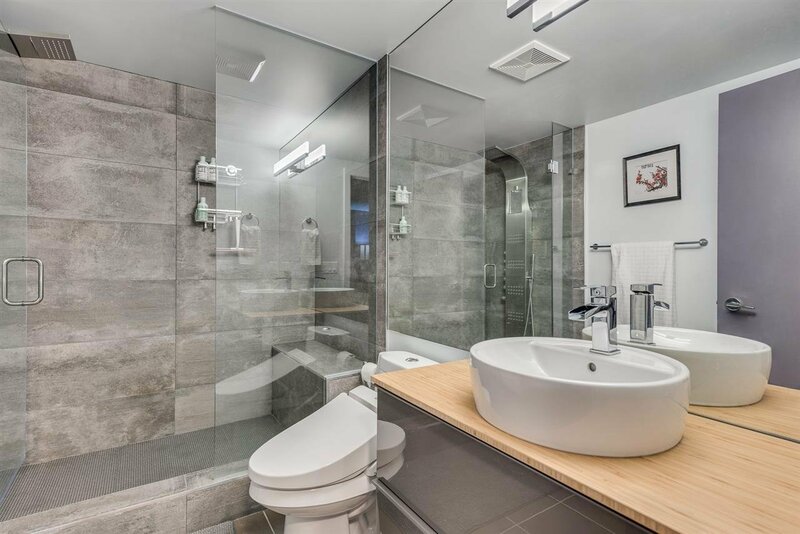 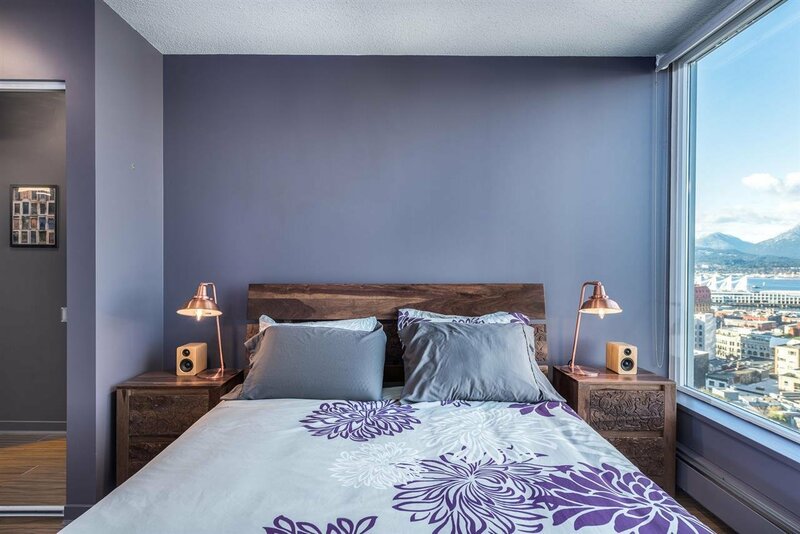 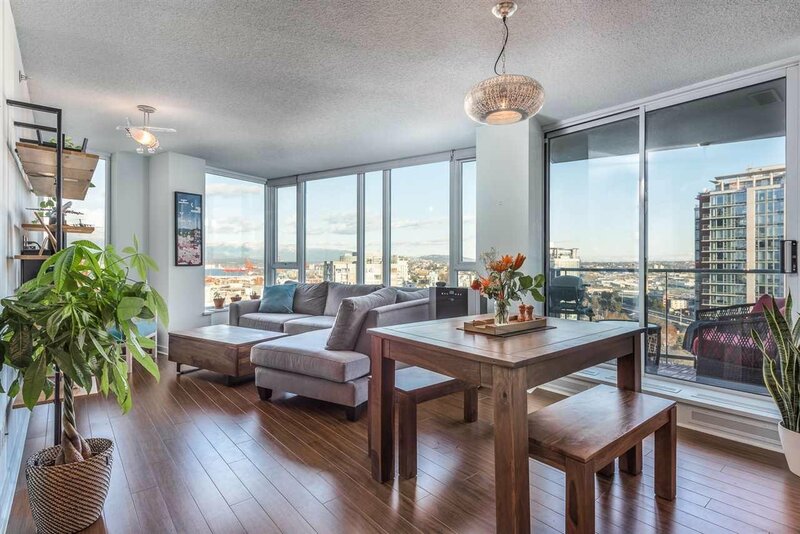 This newly renovated 1,022 sqft corner unit has it all! 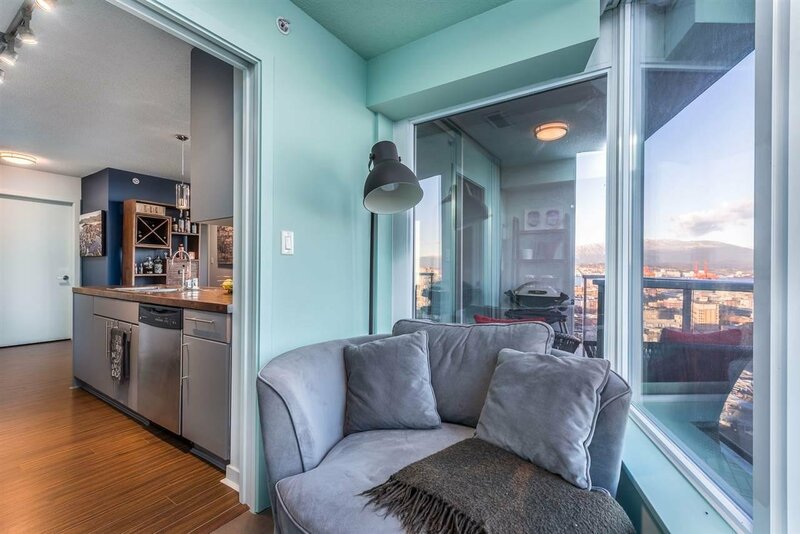 2 large bedrooms, 2 bathrooms, den, solarium, balcony and parking. 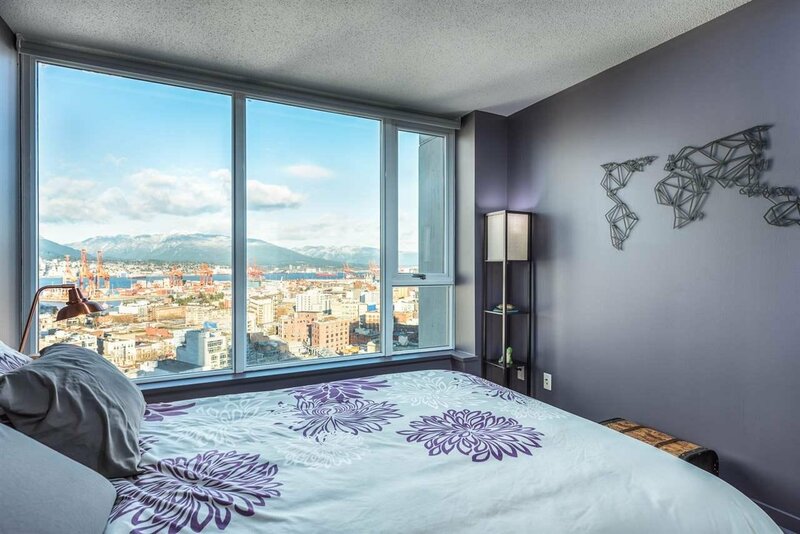 Sit back and enjoy panoramic views of the mountains, water and city. 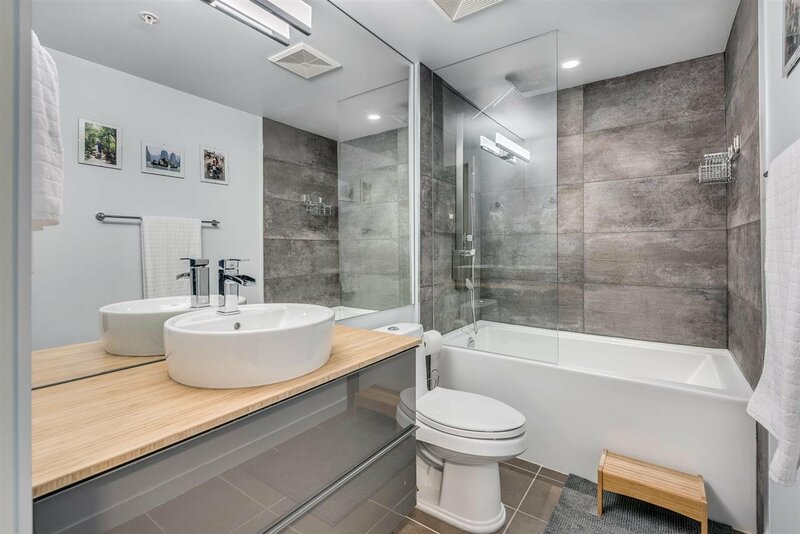 Notable features include an updated kitchen, stainless steel appliances, wine fridge, new modern bathrooms and lots of natural light. 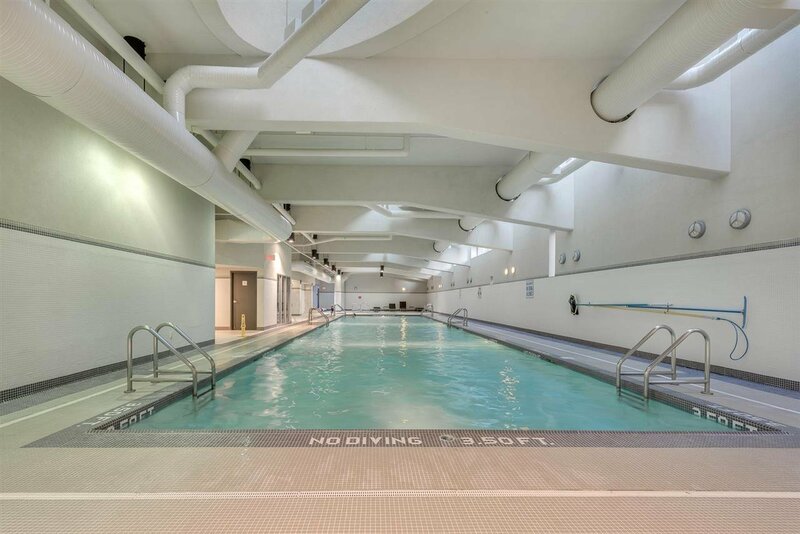 The building offers indoor swimming pool, fitness centre, hot tub, sauna, party room and concierge/security. 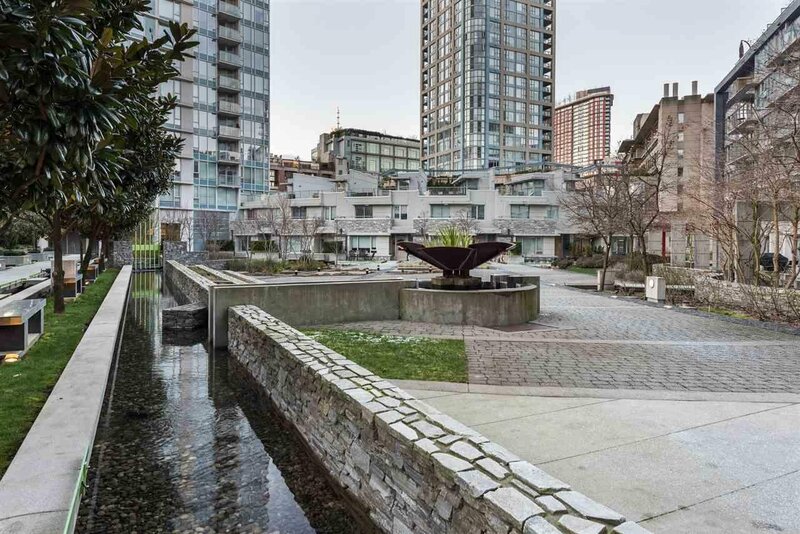 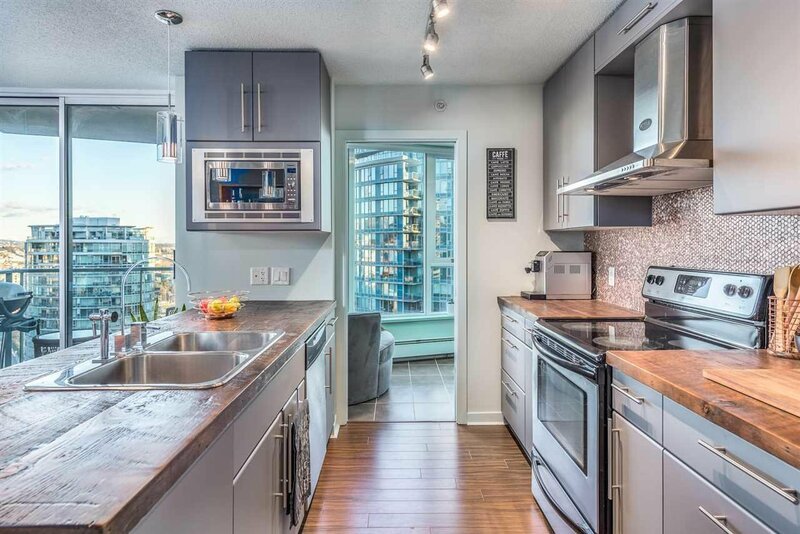 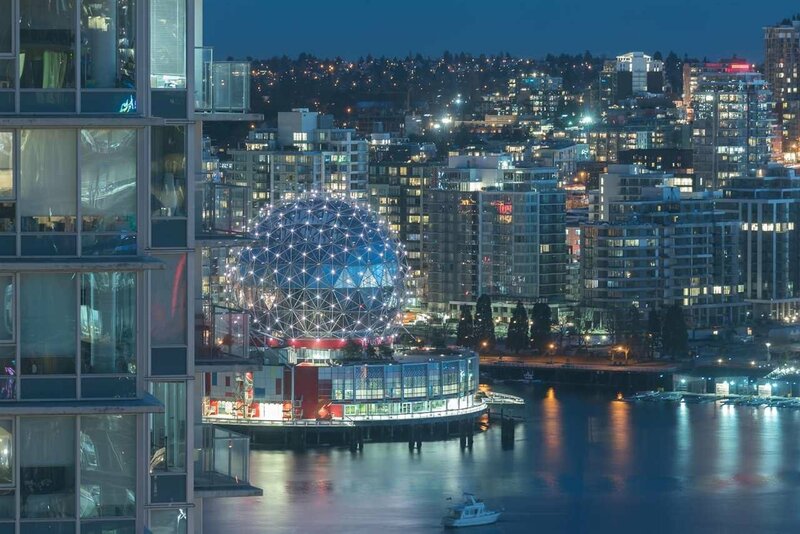 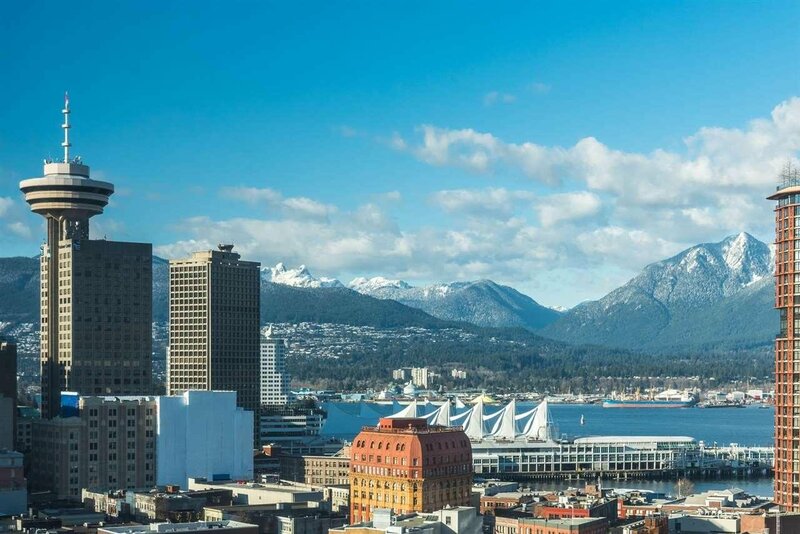 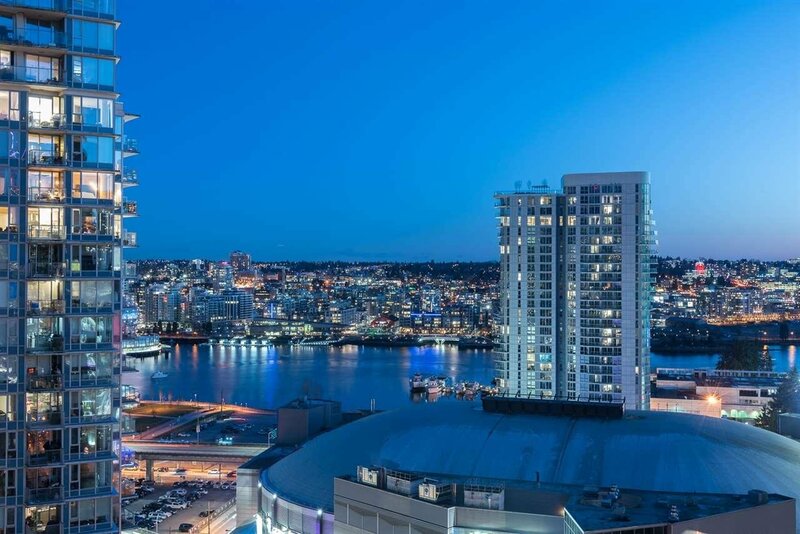 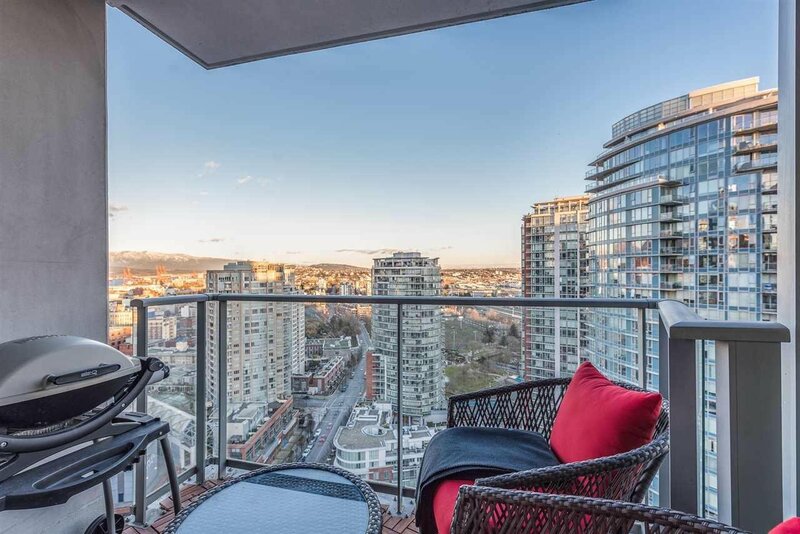 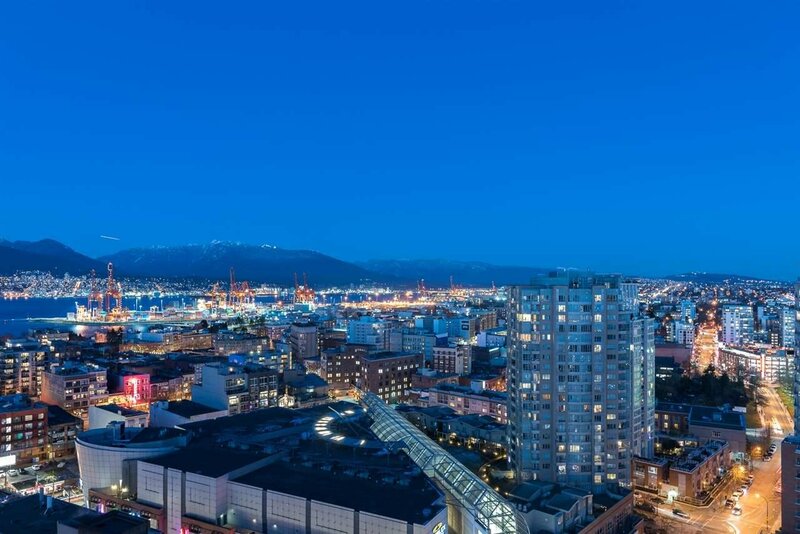 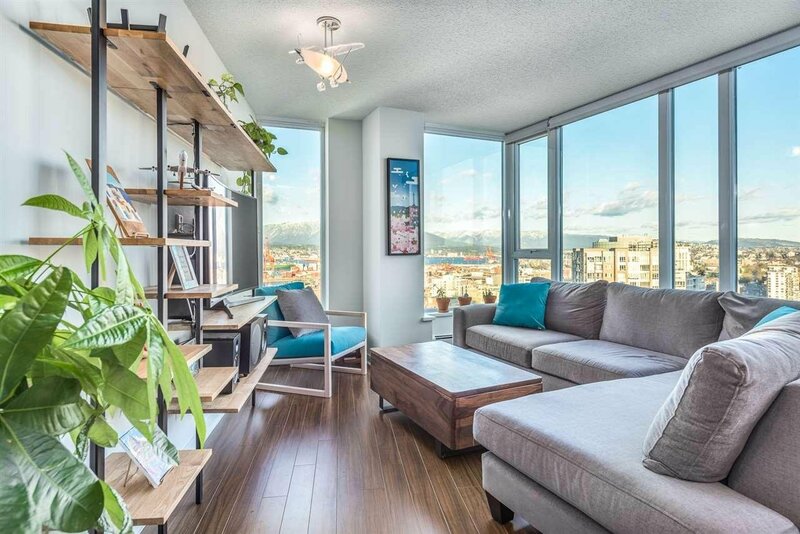 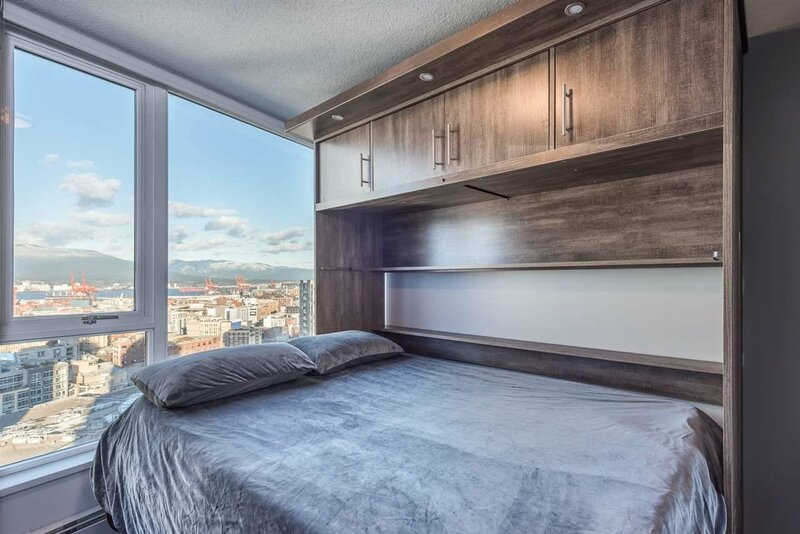 This unbeatable location is only steps away from skytrain station, Tinseltown, Cineplex, T&T, Costco, seawall, and so many dining and shopping options.